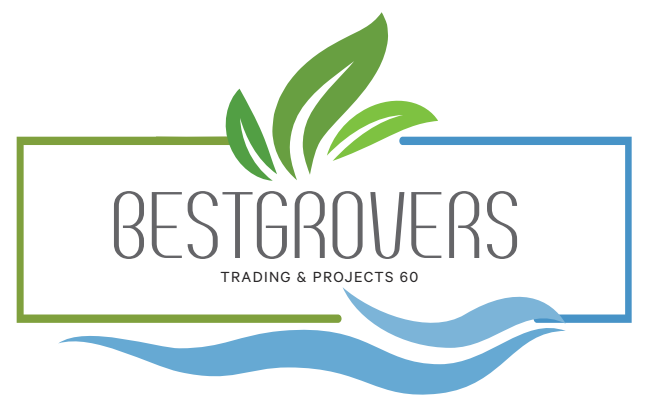 Bestgrovers Trading and Projects 60 is a 100% black and female-owned community-based company established in 2011 by Ms. Noluthando Futshane. The company contributes to the development of Rethabiseng community outside Bronkhorstspruit through social upliftment and environmental awareness programmes that it runs from time to time. We are also contributing to the mainstream economy immensely by preserving water while creating job opportunities for the community. 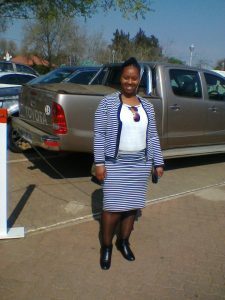 Noluthando is a result-driven woman with passion for environmental conservation, making Bestgrovers Trading & Projects 60 a force to reckon with in the environmental management industry. 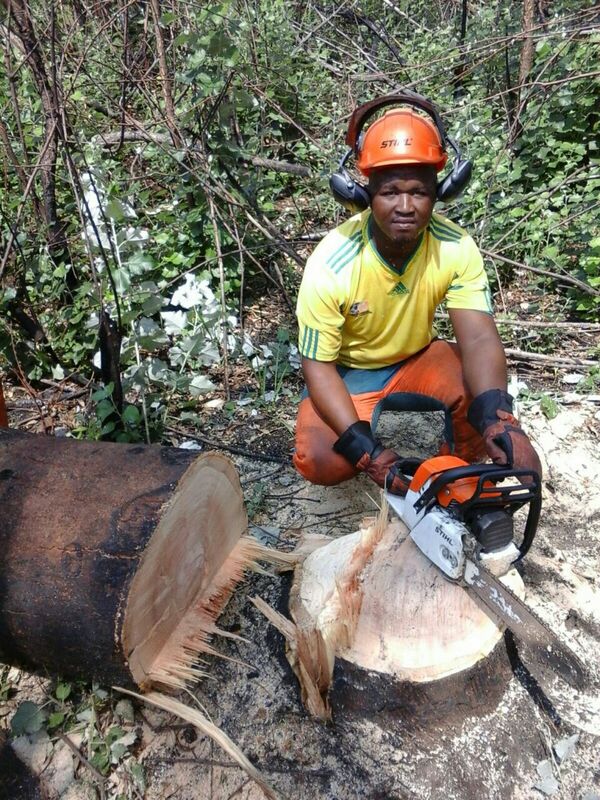 The company has won tenders in the Department of Environmental Affairs consistently since 2011. 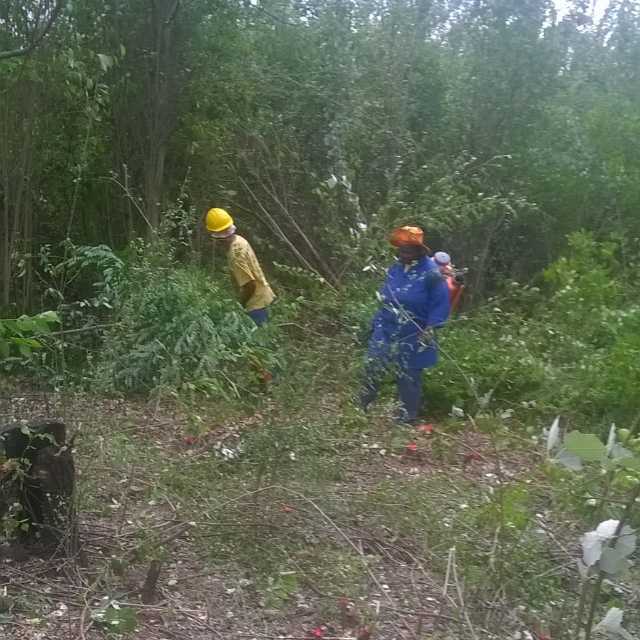 Her skills include basic Bookkeeping & Accounting, Sales & Marketing, First Aid and extensive skills in invasive Alien Plant Control and Maintenance including Herbicde Aplicator. She is full time working for the company and has other business interests in Agriculture. 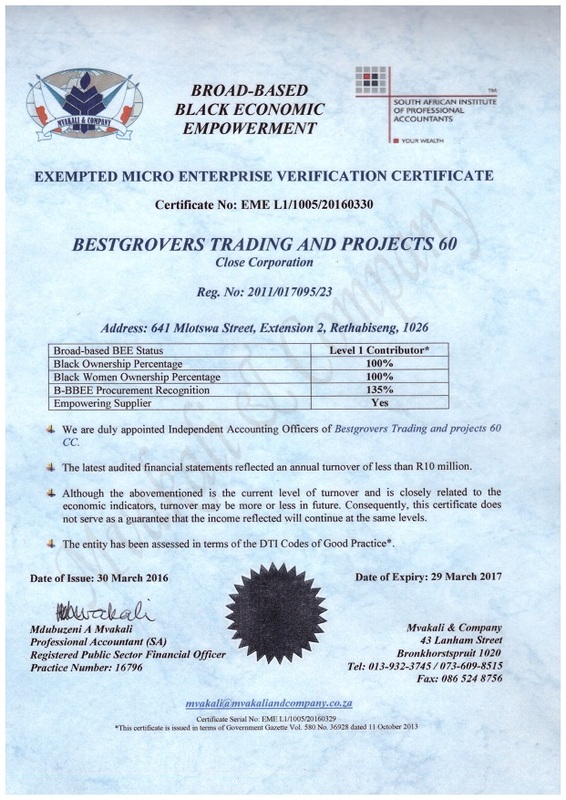 The name “Bestgrovers” means that we strive to excel in every project we take and are indeed being propelled to achieve our objectives. We seek to inspire every South African to contribute their bit to saving our environment. Walking home one day, Noluthando came across a beautiful flower. She picked it up and took it home where she planted with excitement. Later on decided to ask someone what flower it was, only to find out it was one of the invasive alien plants. That is how Bestgrovers was born. The company currently employs 11 full time and 10 employees during projects. We have a team of young, dynamic and dedicated people who are the integral part of the company success. To become the advocates of environmental preservation in South Africa . Through our diligence, we lead the way in providing value in unsurpassed service to our customers and stakeholders. We will support skills development initiatives and contribute towards poverty alleviation. Destruction and control of invasive Alien Plans and Species. We completed a number of projects and doing ongoing maintenance. The business address the urgent challenge to manage alien plans and related water consumption and blocking of rivers.